After reading Mean Genes, which was very broad in scope, I found this book which focused just on evolutionary medicine. 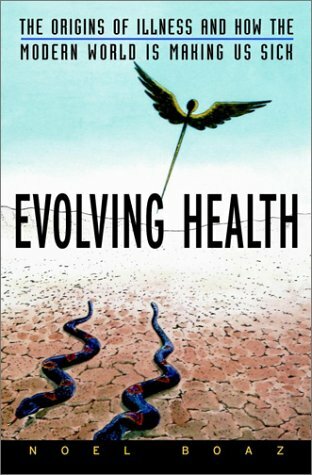 Evolving Health: The Origins of Illness and How the Modern World is Making Us Sick by Noel T. Boaz is a very good book. I will confess that this was a tough book for me. I think the book assumes a much stronger background in the biological sciences. Several portions of the book took multiple reads to understand. …a bent spinal column, stress on vertebral ligaments, and tensed muscles all night to prevent hyperextension or hyperflexion of joints. The book covers childbirth, cancer, heart disease, high blood pressure, smoking, diabetes and more.